A member of the critique group I’m in was recently in a production of Shakespeare’s Measure for Measure. That got me to thinking about the relationship between acting and writing. After all, when you’re concentrating on describing a character’s feelings or writing authentic dialog, you’re channeling a character the same way an actor would. It takes me time and effort to “get into” a character’s head, even if I’ve been working on a piece for some time. 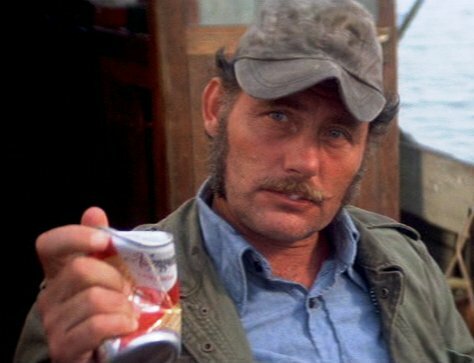 Robert Shaw, shown above as Captain Quint from Jaws, was one of my favorites. Like George C. Scott (a failed writer who became an actor! ), Shaw always brought a titanic and menacing presence to the characters he portrayed. Who could forget his role as Grant, the ultimate cold-blooded assassin in From Russia With Love? In addition to Shaw’s all-too-short acting career, he also penned some fine novels and plays. Other writers who were also actors include William Shakespeare, Yukio Mishima, and Orson Scott Card. And Tom Hanks just released a book of short stories. I’m sure there are others.